When I was growing up I remember I would sit in the field at my Aunt Shirleys. My ways of entertaining myself were endless as long as I could make something. I was 4 years old and my older cousin Donna who was 9 taught me how to make flower chains. I picked all the clover flowers around me one by one as I made my necklaces and wreaths I wore in my hair. 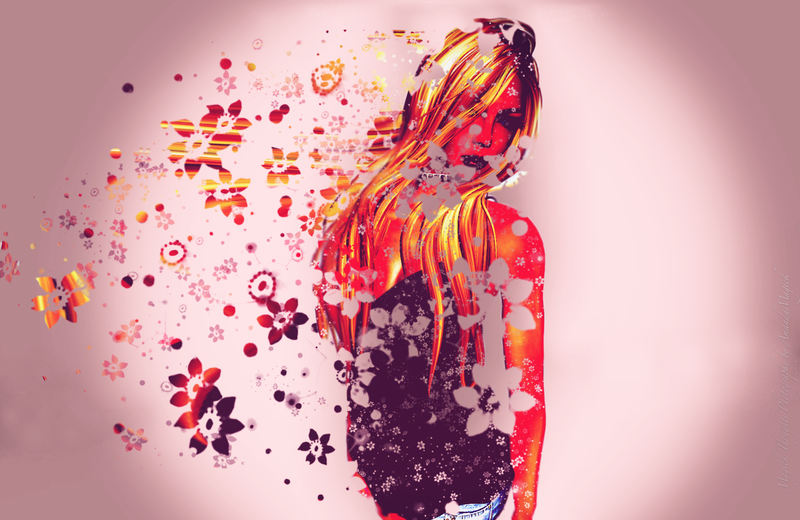 Those are the memories that inspired this artwork called Flower Girl.